The Dead Sea Scrolls, at least some of them, are now online, thanks to a collaboration between the Israel Museum and Google. So you’re one of the dinosaurs (like I) steadfastly resisting the seemingly inevitable transition from WordPerfect to MS Word. Legal Office Guru is a blog where you can find tutorials, tips and instructions. Lawyerist makes a case for pro bono work as a “win-win” for lawyers. In this rugged economy, have you considered door-to-door practice? Ever wonder why the public looks askance at the legal profession? A good recent starting point is this class-action lawsuit against Proctor & Gamble claiming that the company makes it impossible for consumers to squeeze the last 20% of toothpaste from the tube, and so are entitled to damages. True story. Using Google Places to market your law practice — free! A picture that is worth a thousand Euros, or dollars, or yuan. National Geographic’s interactive map showing world distribution of wealth. Are you Spotify-ed yet? Download and use it to make playlists of popular and even the most obscure music. There’s a free version and a premium without the occasional ads. I’ve used my Spotify to make playlists of blues, folk music, jazz and classical that I can listen as I do computer chores like updating this blog. Chancellor Edward Fenwick of Kosciusko is one of two chancery judges who preside in the Sixth District (Attala, Carrol, Choctaw, Kemper, Neshoba and Winston). Here is our interview with him. A: From the calls I get on procedural matters, most involve the handling of a few routine matters. For example, in ID divorces where there are children, we require the custodial parent to be present for the hearing, and ask the jurisdictional questions as well as a few questions about how the visitation is working. Sometimes there are also questions about property division if it is not clear or looks problematical. We also allow wills to be admitted to probate before the clerk so long as the named fiduciary is beingappointed and bond was waived. Q: What are three attributes that you would consider to set the good lawyers apart from the bad ones? As a practitioner I did not always have an adequate grasp of the law in my case. More times than I care to remember, my lack of familiarity with my case file left me with egg on my face. I also lost my temper once or twice which was less than helpful. Now that I think about it, these three attributes would stand in good stead for both the bench and the bar. I’ll try to do better. Q: What is the main thing lawyers should know to avoid doing in your courtroom. A: I am by nature an easy going person. In the courtroom this can be an asset at times; but, it can also be something of a handicap at times. Lawyers should keep the conversation at counsel’s table to a minimum, and hold the volume down so that my hearing aids do not pick up on what you are saying. The hallway, on the other hand, is an excellent place to talk. Q: Share your innermost thought and feelings about MRCP 81. A: This one used to give me fits. Over time I think I have finally gotten used to it though. I have to say that I agree with Judge David Clark that the best rule would be to have all process returnable to a date certain. A: My favorite court room movie. Breaker Morant is about a case where the fix was in and the defense attorney was picked to be a potted plant in the courtroom and was supposed to lose. He ends up doing a great job. Judgment at Nuremburg is an old classic. I saw this one again recently. It illustrates powerfully the importance of an independent judiciary. [n]unc pro tunc means ‘now for then’ and when applied to the entry of a legal order or judgment it does not refer to a new or fresh (de novo) decision, as when a decision is made after the death of a party, but relates to a ruling or action actually previously made or done but concerning which for some reason the record thereof is defective or omitted. The later record making does not itself have a retroactive effect but it constitutes the later evidence of a prior effectual act. The above language is from the MSSC decision in Irving v. Irving, decided August 18, 2011. We’ve talked here before about Henderson v. Henderson, another nunc pro tunc case that reached back two years to effectuate a divorce judgment that had erroneously never been entered with the clerk. I’ll leave it to you to conjure up some situations in which you can ask the chancellor to act now for then to pull your irons out of the fire. On one Friday afternoon in Poplarville, early in my first term as a judge, it was announced by me just before beginning of a trial that ringing cell phones during a trial would be considered, as allowed and provided by a Uniform Chancery Rule, to be contempt of court punishable by a fine of $50.00. I talked here before about the Varner case, which holds that a child-support-paying parent (the father in that case) who has a child come to live with him may receive a credit against unpaid child support for that de facto custodial time. In Varner, the mother had court-ordered custody, but the parties made a handshake deal for the child to go and live with the father for a time. Taking a similar set of facts, would the father have a basis to ask the court to modify custody? In Arnold v. Conwill, 562 So.2d 97 (Miss. 1990), the father had the son with him for 16 months because of the mother’s unsettled living situation. The mother had asked the father to take the boy until she could get settled. When she did get into a stable situation, she asked the father to return the child to her custody. When he refused, she picked the child up from school, enrolled him in a new school, and resumed full-time custody of the son. The father filed a modification action, and the chancellor granted him custody due to the 16-month period. “To her credit, when she fell upon hard times, appellant called the child’s father for help. The custody was temporarily interrupted because of conditions over which she had no control. When she stabilized the situation, she asked appellee to restore custody to her and he declined. The parties’ act, in temporarily modifying the decree, was not binding on the court. The only change in circumstances, upon which the appellant can rely, and which the court accepted, was the fact that the father had custody for sixteen moths while the appellant, the mother, had liberal visitation withh the child. At page 100, there is this statement: “The courts do not favor separating siblings when their parents divorce.” That concept has been refined since then to provide that, although separation is not favored, there is no hard and fast rule about separation, but it is one of many factors to be considered by the court among the Albright factors for determination of best interest. See, for example, Kimbrough v. Kimbrough, decided by the COA May 3, 2011. And on the same page is the statement that the facts of the case did not reflect material change-adverse effect-best interest, and “Neither did the motion so charge nor the chancellor so find.” As we’ve discussed before, the law now is that if you fail to plead the elements of custody modification, your case is subject to being dismissed for failure to state a claim upon which relief can be granted. 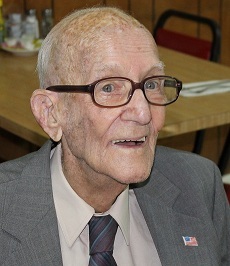 Judge Frank McKenzie presides in chancery district 19 (Jones and Wayne). Here is an interview with 12 CCDM. A: Court starts on time. If you are not there when your case is called and have not notified the Court Administrator of a good reason for your tardiness, your case will go to the end of the docket for that day. If you make no appearance before the docket is concluded, you may have to return another day. I have a local rule requiring that all contested trial exhibits be pre-marked by the attorneys prior to trial and that an exhibit list be furnished to the clerk, court reporter, and the court at the time of trial. This requires the attorneys to confer in advance to exchange exhibits and agree on the numbering sequence. Exhibits shall not be designated by the party offering them, i.e. P-1 or D-1, but shall be numbered beginning with 1 and concluding in numerical sequence to the final exhibit. Rebuttal exhibits are not within the rule. At the start of trial all pre-marked exhibits are received by the clerk for identification purposes only. They come into evidence by agreement of the parties or ruling by the Court when proffered. The 19th District has a website where you may access the dockets and request hearing dates from the Court Administrator. www.uscourtdockets.com. A: Good lawyers seek corroboration of their clients’ claim before filing a complaint. They ask for the identity of witnesses to the clients claim, interview those witnesses, and conduct a tough cross-examination of the client to detect problems. Good lawyers come to the courthouse prepared. They will have reviewed all discovery materials, prepped all witnesses for their testimony, interviewed all opposing witnesses, and come armed with the legal authorities germane to the issues to be tried. Good lawyers are courteous and respectful to opposing counsel, witnesses and court personnel. A: I tend to give lawyers wide leeway in trying their cases. The capital offense is when a lawyer lies to me. A: I enjoy most everything I do. Sometimes it is a trying experience but that is a necessary part of the job of Chancellors . The appellate courts have placed upon Chancellors a duty to address many “factors” in our rulings, so much so that a chancellor’s findings of fact and conclusions of law often exceed in scope the eventual ruling by the appellate courts. When lawyers don’t put on adequate evidence of the “factors” it makes the job more difficult. Q: Cell phone ringing during a trial: death penalty, stern look, dismay or no reaction? A: The failure of lawyers to comply with Rule 3.05 UCCR which requires that a copy of all trial exhibits be furnished to opposing counsel and to the court. I guess they expect all of us to gather around the witness who is testifying about an exhibit. I also hate roman numerals. They don’t even teach them in schools now. Why are we still using them in legal documents? A: From 1972 until 1995 the vast majority of my chancery practice was before Hon. J. Shannon Clark of Waynesboro. Judge Clark was always fair and consistent in his rulings and was courteous to the lawyers and those appearing before him. I try to model myself after him. I’ve posted before here and here about the renovation of the upstairs court room in the Clarke County Court House in Quitman. 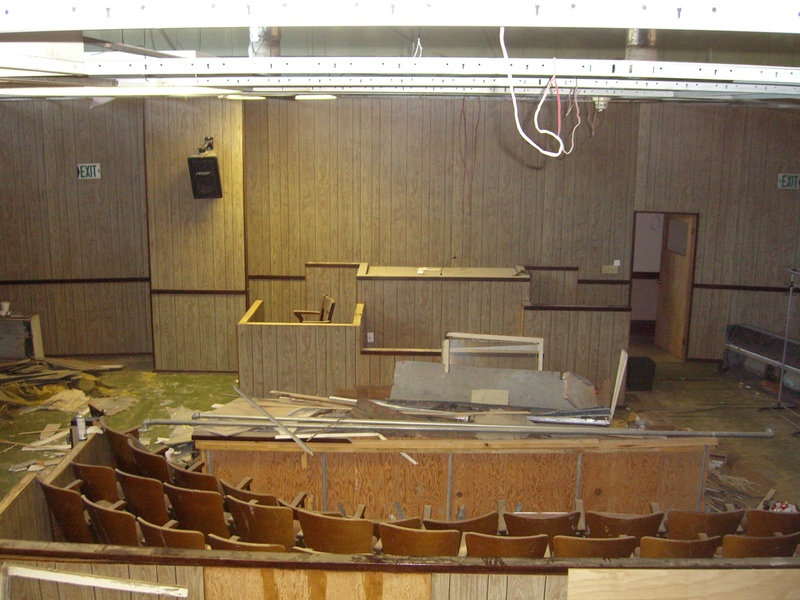 The photo to the right shows the court room when the renovation had just begun. You can see the plywood panelling that sheathed the room, as well as the placement of the jury box at that time. Glory be for the renovation! The court room was encased in plywood panelling in the 1970’s. Before then, there was a large, pot-bellied stove in front of what you see in this photo as the witness stand. The stove provided heat for the entire court room. In cold weather, lawyers would stand by the stove and warm their hands during trials as they questioned witnesses (who sat on the judge’s left-hand side in those pre-panelling days) or addressed the jury. When the panelling was added, the ceiling was lowered and central air and heating were installed in the balcony. The lowered ceiling concealed the machinery, pipes and conduits. The panelling also concealed all of the windows, so that the court room was a fluorescent-lit, windowless chamber. In the court room today, you can observe two doors, one in the jury box and one in the rear of the court room, that open out onto the balcony. Until those doors were concealed behind the panelling, it was the practice when court was called into session for the bailiff to go out on the balcony and announce loudly to the bystanders in the streets below that court was in session, and inviting all who may have any business to come forward and be heard. By the 1990’s, before the addition to the east side of the building, with its new court room, the court house had fallen into a sad state of disrepair. Some of the windows behind the panelling were broken, letting in rain and inviting birds to nest in the walls. It was not uncommon to hear cooing pigeons throughout a trial. Eighteen-wheelers lumbering in low gear along Archusa Avenue in front of the building made the windows rattle and shake to such an extent that it was often necessary to pause in questioning a witness until they passed. The disrepair was not limited to the windows. In one case I tried, my client and I had to move our table several feet when a sudden thunderstorm sent a stream of water from the ceiling right onto my case file. It’s all better now, thanks to forward-looking Clarke County leadership. Thanks to George Warner, former DA and Chancellor, for some of these recollections. As I posted here before, the legislature has adopted a procedure to disestablish parentage (paternity) in light of Williams v. Williams, 843 So.2d 720 (Miss. 2003), and its progeny, which hold that a man who is determined by DNA testing not to be the father of a child should not continue to be responsible for the support of that child. The new code section, MCA § 93-9-10, went into effect July 1, 2011. The very first sentence of the statute states that “This section establishes the circumstances under which a legal father may disestablish paternity and terminate child support when the father is not the biological father of the child.” In my opinion, this code section is now the exclusive remedy for a father in these circumstances. Any proceeding such as a petition to remove the father from the birth certificate, or a joint petition to disestablish paternity, or a modification pleading that does not meet the requirements of the statute will be ineffective. You may well ask, “But if the father and mother agree, what is the harm? Why not simply approve their agreement?” First of all, there are the welfare and rights of the child to consider. See, Kelly v. Day, 965 So.2d 749 (Miss. App. 2007). And secondly, if the procedure is ineffective, the child will have a later cause of action for support, making the whole earlier procedure a waste of time. Before I step through the statute with you, please let me urge you to read the statute. I swear, it won’t take more than five minutes. If you’re going to advise clients about this, you need to be familiar with what it says. The father must file a petition in the court having jurisdiction over the child support obligation. This means that if the county court, or chancery court in another county, has entered a child support order, the petition must be filed in that court. Process and a copy of the petition must be served on the other parent or guardian; if DHS is or has been a party to the paternity action or collection of child support, the Attorney General of the State of Mississippi must be served with process. In my opinion, since this action is under the chapter dealing with parentage (bastardy), 30-day process would be required pursuant to MRCP 81 (d)(1). The petition must include: (a) an affidavit executed by the petitioner that he or she (there is nothing in the statute that says that the mother is precluded from filing a petition) has newly-discovered evidence since the paternity determination relating to parentage of the child, and (b) the results of a genetic or other scientific parentage test administered within one year of the filing of the petition excluding the legal father as biological father of the child or an affidavit executed by the petitioner that he did not have access to the child for testing before the filing of the petition; in the latter case, the petitioner may request that the mother (if available), child and father submit to such testing. The court shall grant the relief on a properly filed petition if the court finds all of the following: (a) There is newly-discovered evidence as averred; (b) the scientific testing was properly conducted; (c) the legal father has not adopted the child; (d) the child was not conceived by artificial insemination while the legal father and mother were married; (e) the legal father did not prevent the biological father from asserting his parental rights with respect to the child. I recommend that your petition include allegations (a) through (e). Your client is swearing that all of these statements are true, and you are vouching under MRCP 11 (a) that the pleading has “good ground to support it.” And make sure your client reads it before signing. He is swearing all of this is true, andd if he balks or hems and haws, you might want to think about going back to the drawing board. The court shall not set aside the paternity determination or child support order if the court finds that the legal father did any of the following: (a) Married or cohabited with the mother and assumed parental obligation and support of the child after having knowledge that he was not the biological father; (b) consented to be named as father on the birth certificate or signed an acknowledgment of paternity and failed to withdraw within the time periods mandated by MCA §§ 93-9-9 and 93-9-28, unless he can prove fraud, duress, or material mistake of fact; (c) signed a stipulated agreement of paternity that has been approved by order of the court; (d) signed a stipulated agreement of support that has been approved by order of the court after having knowledge that he is not the biological father; (e) been named as legal father or ordered to pay support after he declined to undergo genetic testing; or (f) failed to appear for a genetic testing draw pursuant to a valid court order. Same advice here about incorporating these as allegations in your petition. Make your client swear that he has not done any of the foregoing. The rationale above applies here. If the petitioner does not make the required showing, the court shall deny the petition. Relief is limited to prospective (future) child support, past-due child support payments, termination of parental rights, custody and visitation. The statute does not create a cause of action to recover child support paid before filing of the petition. The statutory procedure can not be used to litigate previously-paid child support. It can be used to address past-due child support, parental rights, custody and visitation. The court may not suspend the child support obligation while the petition is pending, although the court may order that such payments may be held by the court or DHS pending a final determination. My suggestion is to plead for the court or DHS to hold the child support funds pending litigation, if that is what your client wants. If you don’t specifically ask in your petition for that relief, you likely will not get it. The party requesting genetic testing shall pay its fees. There is no provision in the statute for the court to tax the fees other than to the party who requests it. The usual authority of the court on motion or its own motion to order the parties to submit to genetic testing applies. The unsuccessful petitioner shall be assessed with court costs, genetic testing fees and reasonable attorney’s fees. Here’s the reason why I suggested above that you specifically plead all of those qualifying and possibly disqualifying facts and make your client read carefully before signing. Clients sometimes will lead you to believe that they have a case, and will omit some important detail, like the execution of that acknowledgment of paternity. They think they can pull a fast one on the court, or that it somehow will slip by unnoticed. The result of failure for the petitioner is being assessed with some significant expenses. The result for you is egg on your face and slipping a notch in the court’s regard of your own credibility. This statute should go a long way toward eliminating the welter of approaches that lawyers have taken to address the disestablishment of paternity. Now there is a single statutory provision. Read the statute, follow it, and you might accomplish something for your client. Experts often testify in chancery. They address child custody, business valuations, property appraisals, surveys, tax issues, handwriting, competency, medical and health matters, and many other subjects almost too varied to imagine. MRE 702 allows you to call a qualified witness who has “scientific, technical, or other specialized knowledge” that will assist the chancellor in understanding the evidence or to determine a fact in issue. The catch is that the witness must be (a) qualified, and (b) have scientific, technical or specialized knowledge that will assist the court in adjudicating the case. It’s up to you to make a record that your witness meets the criteria of the rule. You won’t get off the starting line, though, if you haven’t done your pre-trial work vis a vis your expert. Remember that if you are asked in discovery to identify your expert(s), you must do so not less than 60 days in advance of trial, per UCCR 1.10, or run the extremely likely risk that you will be denied the opportunity to call that witness as an expert. Merely including the name of an expert in a general witness list is not enough to meet the requirement of the rule. And if you are asked to provide the expert information required in MRCP 26(b)(4), you must timely provide it — all of it, in a responsive manner — or you may be left expert-less in that trial. First, you must qualify the expert and tender the witness as an expert, at which point the other side will be given the opportunity to voir dire the witness as to qualifications to testify as an expert. The court will then hear any objections to the qualifications. If the court rules that the witness does have expert qualifications, you move to the next phase. Second you take the expert testimony itself. Before you get into the substance of that testimony, though, you must establish that the expert’s opinions will be reliable, using the factors set out in Daubert v. Merrell Dow Pharmaceuticals, 509 US 579 (1993). Tender the witness as an expert. Have the principles and methods used been tested, or can they? Have the principles and methods been subject to professional critique, peer review, and publication? What is the known error rate for the principles and methods, and what are the means to control or reduce the error rate? What measures were taken to control the error rate in this case? What is the extent to which the principles and methods have been accepted in the field? Is the opinion based on research or study that the expert did independent of the litigation? Has the expert adequately addressed and accounted for alternative or contradictory explations? How did the expert rule them out? Did the expert employ the same standards and techniques in reaching the opinion in this case that he does in the normal course of his professional work? Is there a discrepancy between the data and the conclusions reached by the expert? How does the expert explain the discrepancy and rule out other conclusions? How does the expert’s opinion tie in to the facts in this particular case? Obviously the way you develop your expert’s testimony will depend both what is at issue in the case and the expert’s field of expertise. A child psychologist in a custody case will require a different approach than, for example, a handwriting expert in a will contest. With respect to qualifications, it’s a good idea always to get the expert’s CV (curriculum vitae) and offer it into evidence. Once it gets into evidence, it may prompt counsel opposite into stipulating that it does, in fact, state the witness’s proposed qualifications, which may eliminate lengthy testimony. With no jury to impress, there’s no need to put on a show about the witness’s impressive credentials. The court always has the discretion whether to allow an expert’s testimony at all. If the court finds that the subject matter of the opinion is not sufficiently scientific, technical or otherwise specialized, the court can rule that an expert need not be called. For example, if the judge or any other lay person can determine that the ground became wet after a rain, it is not necessary to have expert testimony on the point. Likewise, an expert on the law is unnecessary and superfluous because the trial judge is the expert on the law of the case (at least until the COA reviews it). You are currently viewing the archives for September, 2011 at The Better Chancery Practice Blog.